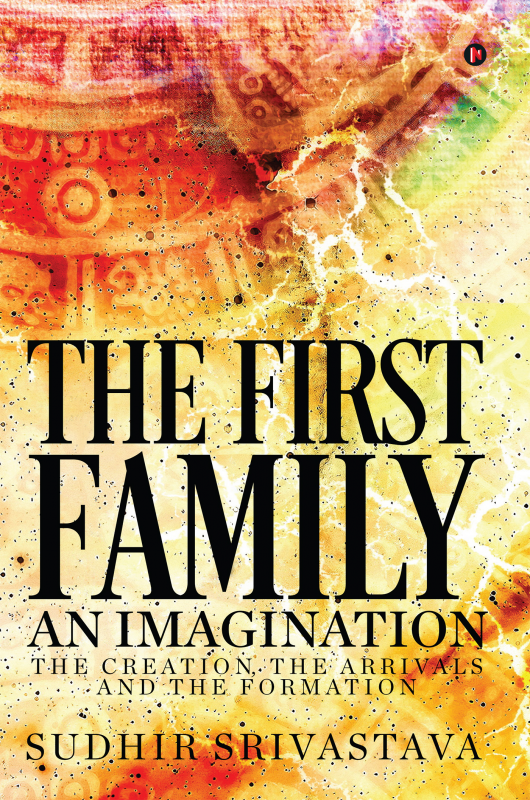 The First Family — An Imagination is about migrating to newly immerged-out land from sea-bed of south ocean as the new-found land, the arrival of inhabitants and assimilation of civilisations and the formation of the trilogy of gods in Jambudesh. The book depicts the combination of two for reproduction in living-beings and especially in human beings, fragile in nature, the time-consuming period for the growth and maturity of siblings to survive the auducity of nature and so the concept of family. It also discusses how human-beings exploit other living beings, non living-beings as well as their own species for his survival, expansion and growth. It describes how assimilation leads to new culture at the center of the regions whereas in the outer regions, the individual cultures survive. The book provides the background to understand the differences in cultures of inhabitants residing both inside the boundary of South Asia and outside of it. Sudhir has been imaginative since the early stages of his life when he lived with his mother, who is a religious lady. His father was a professor, who gave his children the freedom and support to learn what they wanted apart from classroom subjects. The environment provided by his family when he was young spurred him to think analytically as well as use his imagination. His interest in mythology began when his mother narrated epics to him at a young age. He constantly imagined stories and events while listening to them. He later got to study mythology. His interest in mythology, coupled with his imaginative nature, persuaded him to search for the causes behind the events in mythology. He is a postgraduate in Science, and his life partner, a postgraduate in History and so, his interests passed onto his new family too. His analytical habits and mind wanted a career in the scientific field of research, but his destiny dropped him in the administrative service, making him live a monotonous life with the same routine every day. Later-on, he decided to fulfill his passion to do something new always, away from the set pattern in life. He found ways to release his imagination in his first book after retirement from active service in IAS cadre serving a long period, from the grass root level to the top most office of the state government.